I was wandering the streets of Lincoln town, which I will never praise for its shopping experience because I believe it to lack shops and the stores it does have all seem to be of minute size - it really isn't good, and anyway, i came across some lush Topshop shoes but they were £60. Well for me right now that is out of my price range. I was never intending on buying shoes but since i had tried on such wonderful shoes i could not resist on having a shoe hunt - but for a cheaper price. I looked in the Office sale, but nah. I explored New Look but nothing struck me. Then I went into Primark and sometimes that place never fails to surprise me with some nice items for such a good price! 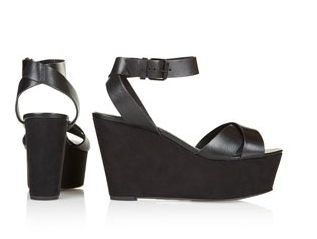 The black beauty's above were just £12. Bargain! Such a nice buy and I can think of so many outfits to wear them with. Not sure on the comfort yet, but hey i'm always one for 'fashion over comfort' most of the time... well if I'm out for a short period, or drunk. 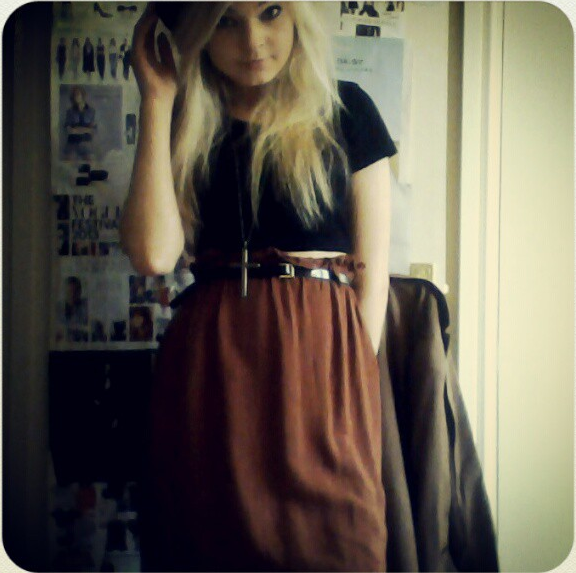 The ones below are from Topshop for £50, and mine above are from Primark for £12. Such similar styles, and such a price difference. And the other random photos - The first photo I'm just posing with a casual outfit of a cropped top matched with a high waisted skirt I have had for a year now, or two! I love it when I keep old clothes that I haven't worn in a while and so when I do they kind of feel brand new, you know? 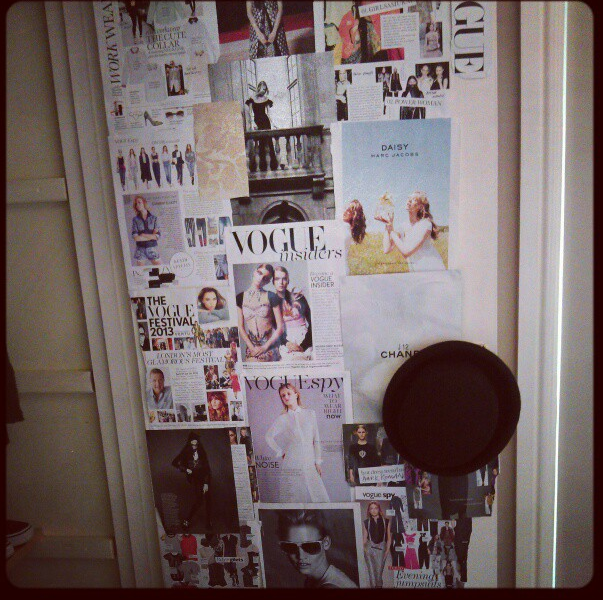 And the picture below, well that's just me with my love for Vogue and ELLE magazines and I got bored (distracting myself from essays) and wanted to import some fashion mags around my wardrobe door to make it look a extra bit creative. I love making my room my own and personal. Who doesn't love a good bargain and forgotten clothes? That skirt is amazing... perfect style! I love your blog! If you get a chance I would love for you to come and check out my blog and if you like it follow me? Thanks! http://camigmakeup4u2c.blogspot.com ! Also, check me out on twitter @camigmakeup4u2c if you want! Please check out my blog?